Training out of The MMA Lab in Phoenix, Arizona, United States, undefeated mixed martial artist James Nakashima, 30, of Dwight, Illinois, USA was one of the winners at “ONE: Roots of Honor.” It was his second victory in ONE Championship. Featuring two kickboxing contests, two Muay Thai bouts and 11 mixed martial arts matches, “ONE: Roots of Honor” took place at the SM Mall of Asia Arena in Pasay City, Metro Manila, Philippines on April 12, 2019. In the 10th bout of the evening, Nakashima faced Luis “Sapo” Santos, 39, of Brazil in an MMA match in the welterweight division with Olivier Coste as the referee. Nakashima picked up a massive win after an apparent knee injury rendered Santos unable to continue in the second round of their welterweight contest. The Brazilian contender found success in the early moments of the bout using his elite-level Muay Thai striking to punish his American opponent in the stand up. But in the second round, Nakashima countered a kick with a takedown and landed awkwardly on Santos’ left leg ultimately leading to the stoppage. Coste put a stop to the welterweight contest after 56 seconds in the second round and The MMA Lab athlete was declared the winner via technical knockout via injury. Winning at “ONE: Roots of Honor” improved Nakashima’s professional MMA record to 11 wins and 0 loss. On the other hand, Santos, who is training out of American Top Team and Sapo Fight Team and American Top Team, now has 65 wins, 12 losses and 1 draw. “ONE: Roots of Honor” marked Nakashima’s second outing in ONE Championship. 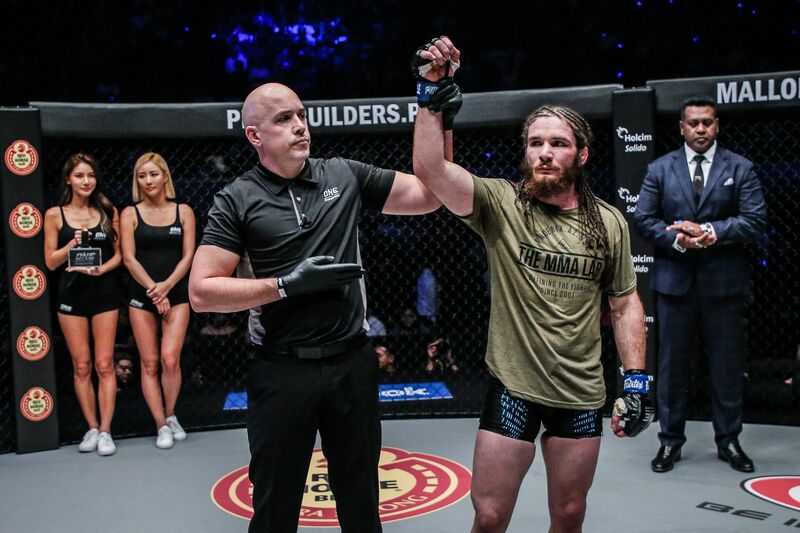 In his promotional debut at “ONE: Conquest of Champions” at the SM Mall of Asia Arena on November 23, 2018, he defeated Raimond Magomedaliev, 28, of Makhachkala, Dagestan, Russia via unanimous decision. Before joining ONE Championship, Nakashima was the LFA Welterweight Champion. He was also an American National Wrestling Champion. Including Brazil and the U.S., 18 countries were represented at “ONE: Roots of Honor.” The other countries were Afghanistan, Australia, China, Cuba, Indonesia, Japan, Mongolia, Morocco, the Netherlands, the Philippines, Romania, Serbia, Singapore, South Korea, Thailand and Vietnam. Check more photos from Nakashima and Santos’s bout at “ONE: Roots of Honor” are on Top Sports Asia.